We would like to explain few things regarding the new content release, this announcement will cover how things are going to be released and which attunements are needed. First of all, since we are an eternal progressive server and we want to provide the opportunity to all the players to enjoy each tier no matter when they join, only those who have cleared the current top tier will be able to play the new content. We will cover the specific restrictions to unlock it with a simple scheme. What will be released this Saturday 27th? Icecrown Citadel 10 and 25 modes with all bosses available on their pre-nerf status. Icecrown Citadel 10 heroic and 25 heroic modes with all bosses available on their pre-nerf status. None of the difficulties will have available the Strength of Wrynn / Hellscream’s Warsong buffs. Forge of Souls, Pit of Saron and Halls of Reflection (Normal and Heroic), along with their respective quests. What content will be released later? Toravon the Ice Watcher, inside Vault of Archavon will be released a few weeks after. The new set of weekly quests in Dalaran “… Must Die!” will be available alongside with Toravon. What are the required attunements? Icecrown Citadel 10 normal will require Trial of the Crusader 10. Icecrown Citadel 25 normal will require Trial of the Crusader 25. 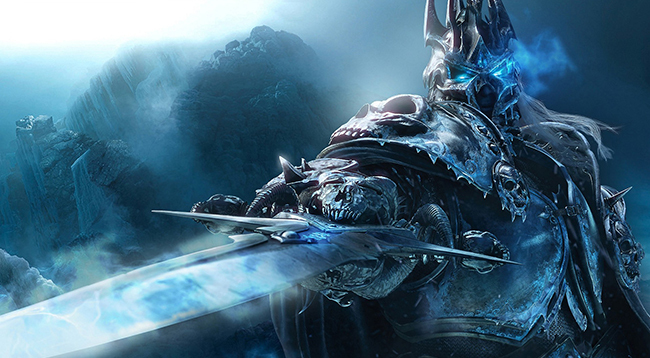 Icecrown Citadel 10 Heroic will require The Fall of the Lich King (10 player) achievement. Icecrown Citadel 25 Heroic will require The Fall of the Lich King (25 player) achievement. Forge of Souls, Pit of Saron and Halls of Reflection will require Trial of the Crusader 10 or 25, as well as the Frozen Halls chain quest. Toravon the Ice Watcher 10 will require Trial of the Crusader 10. Toravon the Ice Watcher 25 will require Trial of the Crusader 25. The new set of weekly quests in Dalaran will require Trial of the Crusader 10 or 25. Further posts about the ID sharing system between the Icecrown Citadel Normal and Heroic difficulties, the personalised emblem system based on each player’s individual progression, and information about general improvements will be announced during these next days. Icecrown Citadel official release date. We are glad to finally be able to provide the official release date of The Icecrown Citadel: Saturday, 27th May. -How everything will be released. -What content will be included in this patch. -General information, fixes and updates. We would like to thank everyone who has collaborated on the Beta test sessions, we have received a massive participation. From individuals who have demonstrated a lot of effort and passion, through guilds from the same faction that have organized and synchronized between themselves to fully check every single detail of the raid while providing very professional reports, to those loyal groups and players who have participated on every of our Betas. Special thanks to those critical and strict players who have helped us by pointing every little detail they found, because thanks to this, we believe we have achieved great and polished results. It has been a long waiting but, we truly hope it was worth it because we are absolutely sure the community will enjoy this content on which we have worked so hard and tested so thoroughly. Rise up, champions of the Light! We are glad to announce that the Beta sessions of the Icecrown Citadel patch are already structured and the first Beta will start on Friday 16th and will last until Monday 19th. This will be a meticulous process and we will ask a thorough collaboration from the group of testers. The testers will receive a wide list of things to check out that will require a full raid or group environment. After each Beta session, the testers should make a compendium report with the results about each of the points. The testers can also check out other things that are not in the list and add it later as a result. The first Beta session is scheduled to only test the different raid difficulties of Icecrown Citadel (10 and 25 Normal and Heroic). The testing requirements could be summarized into; Tactics with their abilities/spells, visual and cosmetic details and feedback regarding the lack of buffs. We would prefer if players willing to participate in the Beta sessions are raid groups already attuned to enter Icecrown Citadel and geared enough to have a proper raid performance. There will be no attunement required to enter the raids on the PTR. We have tried to polish the content as much as possible with a lot of effort, love and motivation and in fact we think that the results are great (from roleplays, visual effects, events to encounter mechanics). We do expect some issues to appear when it is tested on a real player based raid environment though, but nothing major that it can not be quickly fixed before the official release. 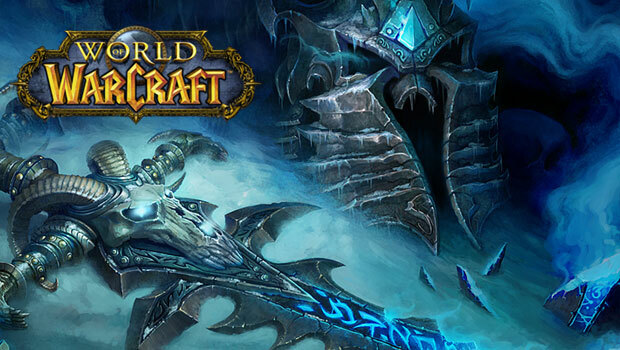 A representative from the guild groups that are willing to participate in the First Beta Sessions regarding Icecrown Citadel raid has to send the registration to: dalaran.beta@gmail.com with the subject title: Name of your guild – Icecrown Citadel Beta. 1) A list of the participants from your guild, keep in mind that the volume of players can be as long as you desire and you can divide them in the number of raid groups you consider best, you can bring alters to help with the testing purposes. 2) The raid modes you are going to test. Can be multiple options too. More details and instructions will be sent through email to the representative of the guilds. The Forge of Souls, the Pit of Saron and the Halls of Reflection in normal and heroic modes, with their related quests. The Return of Quel’Delar and Shadowmourne quest chains. Toravon the Ice Watcher inside the Vault of Archavon. We will announce if we will need another Beta session for this content after receiving the reports from the first one. If there is no need for another session, then we will announce the next Beta for the additional content and its process to participate in it, since we are aware many players are willing to participate on this Betas, but maybe they can’t provide a raiding environment, we will offer the second Beta to the rest of the players that are willing to participate with party groups to test the dungeons or exceptional individuals to test the Quest lines. With that sentence, we want to bring you all exciting news. To start off, we have been working hard to be able to schedule the multiple Beta sessions for the Pit of Saron, Forge of Souls, Halls of Reflection 5 man dungeons, and the raid on Icecrown Citadel itself. Along with these, the two important quests chains; Shadowmourne and Quel’Delar, will be released and will also be able to be tested during the beta. The procedure you will have to follow in order to participate in this closed Beta session shall be announced by us on our forums and social media. Because the process will be more complex this time around, we will make several posts about it in order to explain in detail how and who can participate in them. We will require full raid groups, party groups, and exceptional individuals for the different testing sessions. We are notifying this beforehand for the players that have gotten a bit inactive while they have been waiting for the Lich King, so they too get aware and can participate in the Beta testing. Secondly, we want to announce the continuation of the Changelogs. Due to several changes made in the Staff group during the summer vacations, we are once again opening our doors to hire developers, and incorporate them to replace the absences that happened since August. We want to push the work that needs to be done even harder. In addition, we want to remind all the excellent players that have been making amazing bug reports on the bugtracker, that they can collaborate with Dalaran-WoW as official testers. Stay tuned, as Winter is coming and brings adventures to face, tons of illusions, and hard work. We are really motivated and excited about the results of what we have been working on. We will stay true to our essence and bring you the most detailed and perfected experience, true to how it back was in the glorious days of Wrath of the Lich King. We won’t stop until we achieve that and you can all enjoy it.